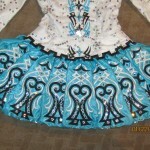 Beautiful cerulean blue dress with a puffball skirt! Stunning stage presence that truly sparkles in front of the judges! 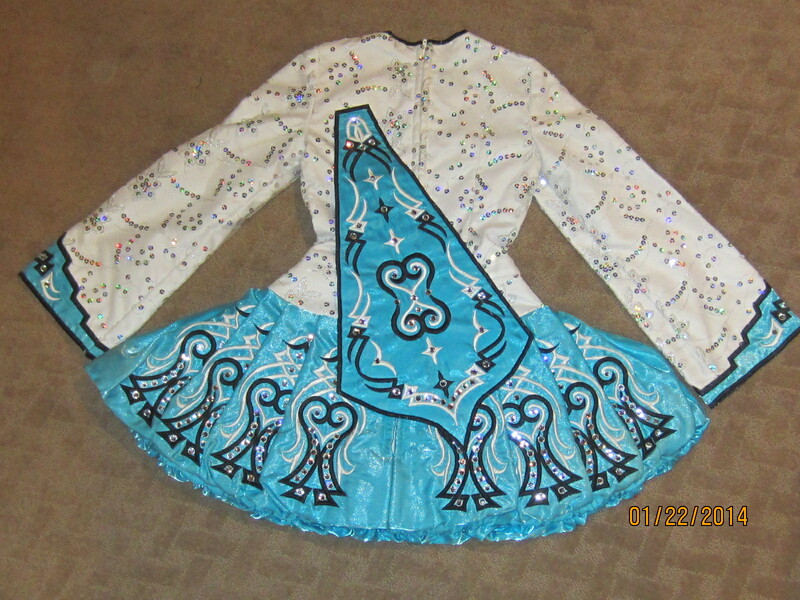 This Siopa Rince was marvelously made with great attention to detail! Dress has a white satin bodice with beautiful beaded, iridescent overlay. 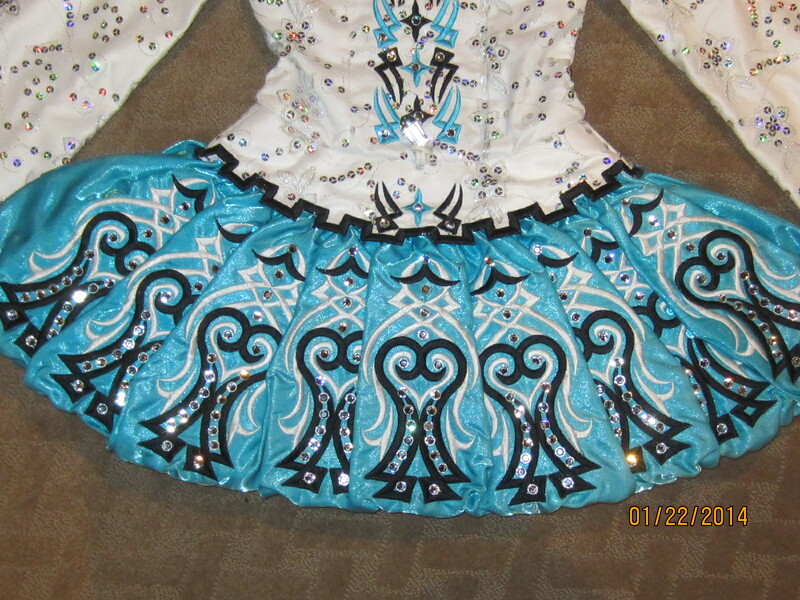 Skirt has a puffball style and is cerulean blue with black Celtic designs. Sleeves have cuffs that match the skirt. 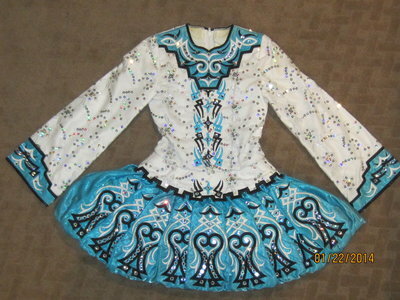 Diamantes on the neckline, skirt, cuffs, and cape. Cape, kickpants, and two crowns are included. 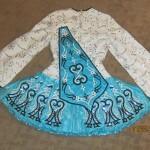 Dress in very good condition and has been stored flat in a non-smoking home.